Michel Bacos was the captain of Air France 139 from Tel Aviv-Paris, hijacked and diverted to Entebbe, Uganda in 1976. The terrorists immediately set free all non-Jewish passengers—however, the Air France crew, led by Bacos, bravely insisted on remaining behind with their captive passengers. On Tuesday 26th March, 2019, Bacos died at the age of 95. His death was followed by an outpouring of recognition around the world for his bravery. The following article describes the wider story of the Entebbe rescue, as written by Jeremiah Jacques. “The men knew they had to succeed,” said Dr. Iddo Netanyahu. Speaking to Watch Jerusalem’s sister publication, theTrumpet, during an August 9 telephone interview, Netanyahu was describing one of the most dramatic hostage rescue attempts in history: Operation Entebbe. Operation Entebbe took place in southern Uganda on July 4, 1976. It has been called a “defining moment in the war on terror” by the Maariv Book Guild. It has inspired more than a dozen documentaries and feature films, including this year’s 7 Days in Entebbe. Netanyahu (whose brother is Israeli Prime Minister Benjamin Netanyahu) has studied the operation in depth, interviewing many of the commandos, hostages and others who were there that day, and writing several books on the event. For each of us, what happened in Entebbe holds a lesson in resourcefulness, in integrity and in refusal to compromise with evil. On Sunday, June 27, Air France Flight 139 was en route from Tel Aviv, Israel, to Paris, France, after a stopover in Athens, Greece. The Airbus A300 was carrying 254 men, women and children, around a third of whom were Israeli. Shortly after takeoff from Athens, four passengers stood up and took out guns and grenades, seizing the cockpit, planting explosives along the aisles, confiscating passports and announcing that the plane had been hijacked and everyone aboard was now a hostage. One terrorist announced over the cabin microphone that the flight had been taken over in the name of the Popular Front for the Liberation of Palestine. Two of the four terrorists were Arabic men belonging to a Popular Front breakaway faction. The two others were a German couple, Wilfried Böse and his female companion, Bridgette Kuhlmann. They were members of a German leftist terrorist group that supported the Popular Front. When Flight 139 fell silent on the radio waves, Israeli intelligence forces immediately began investigating. Had the plane crashed? The Sayeret Matkal (referred to as “the Unit”) went on high alert. The terrorists had the plane refueled in Benghazi, Libya, then took off again. Forced to keep their window shades drawn, the passengers flew for five hours, finally landing early on the morning of June 28. Allowed to open the shutters, the hostages looked out. There on the tarmac stood a notorious figure that many instantly recognized. Wearing heavily decorated camouflage fatigues was the 6-foot, 4-inch, 250-pound frame of Ugandan dictator Idi Amin. Amin had seized power five years earlier in a military coup, and was notorious for killing as many as 300,000 of his countrymen. Now the hostages were in his territory, surrounded by his troops. Amin supported the terrorists and directed his soldiers to support them. “[T]here was complete collusion with the dictator Amin and his army,” Iddo Netanyahu said. Here at Entebbe Airport, three additional terrorists joined the four hijackers and dozens of Ugandan troops. The terrorists herded the passengers into an abandoned terminal building. The next day, the terrorists issued their demands: $5 million and the release of 53 pro-Palestinian terrorists imprisoned in Israel, West Germany, Kenya, France and Switzerland, one of whom had killed 26 people and injured 80 at an Israeli airport four years earlier. The terrorists at Entebbe said if their demands were not met by 2 p.m. on July 1, they would begin executing hostages. Back in Israel, the government of Prime Minister Yitzhak Rabin was in overdrive, considering its options. And its options didn’t look good. A rescue attempt would put political considerations, international support and somewhere around 100 troops at risk, in addition to the hostages. The main obstacle facing the Israelis was the lack of information. “No real plan could be constructed, because there was no information about what was happening in Entebbe,” Netanyahu said. He understands the importance of intelligence: He himself served in the Unit a few years before the Entebbe hijacking. Giving in to the hijackers’ demands would release dozens of murderous terrorists back onto the streets of the world and would encourage more terrorism and hijackings in the future. Yet it appeared that Rabin and the Israelis had no choice. But Defense Minister Shimon Peres and others saw things differently. Israel had no choice—but to resist terrorism and dare to attempt a rescue. The challenge was to present a viable rescue plan that Rabin could approve in good conscience—before the arrival of the hijackers’ deadline for executing hostages. “[S]everal days into the hijacking, they let most of the hostages actually go,” Netanyahu said. “Those who were not Israelis [nor] typical looking Orthodox Jews” from other nations were flown to Paris. The terrorists also agreed to extend the execution deadline until 2 p.m., Sunday, July 4. From the descriptions provided by these released hostages, the Israelis got some badly needed information: exactly where at the airport the remaining 106 hostages were being held, how many terrorists and soldiers were guarding them, and numerous other details. Netanyahu said all this information began filtering through to the Israeli leadership through the night of July 1–2. As the prime minister, his cabinet and the military chiefs were furiously trying to formulate a rescue plan, one man was actually getting ready to carry it out: Lt. Col. Yonatan (Jonathan) Netanyahu. The brother of Dr. Iddo Netanyahu and current Prime Minister Benjamin Netanyahu, 30 years old at the time, was the commander of the Unit. He was the tip of the spear. 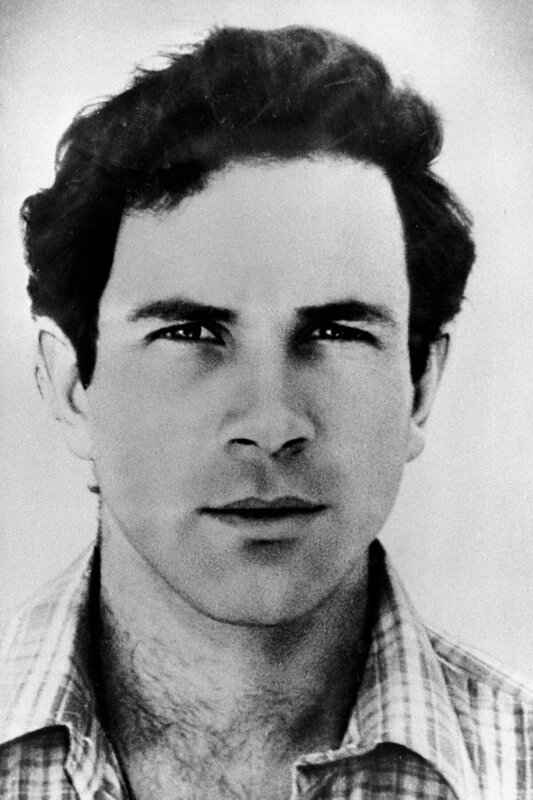 Jonathan Netanyahu and his team continued assembling every fragment of information available, formulating several possible rescue strategies. As the hours ticked by, government officials closely monitored the military planning and stressed that unless the proposal was extremely strong, the government would have no choice but to break its policy of refusing to give in to terrorist demands. There were now some 48 hours left before the terrorists would start their killing. Israel Defense Forces commanders presented the plan on which the lives of scores of people would depend. Flying six military transports, the rescue team would fly from the Sinai Peninsula all the way to Uganda at an extremely low altitude to avoid radar detection. A team from the Unit would land directly at Entebbe Airport, pretending to be Amin and his entourage returning from his trip to Mauritius. They would exit the C-130s in a motorcade of vehicles like those used by the dictator and his men. This plan was hastily formed and rehearsed, but Jonathan Netanyahu tried persuasively to convince the chief of staff to approve it. For men like Jonathan Netanyahu, executing such a daring plan was the only choice. Compromise with evil was out of the question. But would the politicians make that choice? It was now Friday. If there was to be an operation, it would have to begin the next day. Jonathan and his team rehearsed the plan over and over again. On the afternoon of Saturday, July 3, Jonathan Netanyahu and his team were in the air, flying toward Uganda. The government still had not approved the mission, and the Sayeret Matkal commandos thought their flight was merely a contingency: They would probably be recalled to Israel. Jonathan Netanyahu was focused, determined and confident. As the commandos’ C-130s refueled in the southern Sinai, he briefed his men, not just reviewing the plan and tactics, but telling them what they were fighting for. The commandos later said Jonathan Netanyahu’s speech deeply impacted them. “Many of the men say this really changed their whole perception of the operation, and how they went into it. It gave them tremendous confidence that they were going to succeed,” Iddo Netanyahu said. A few hours later, they were airborne once again. 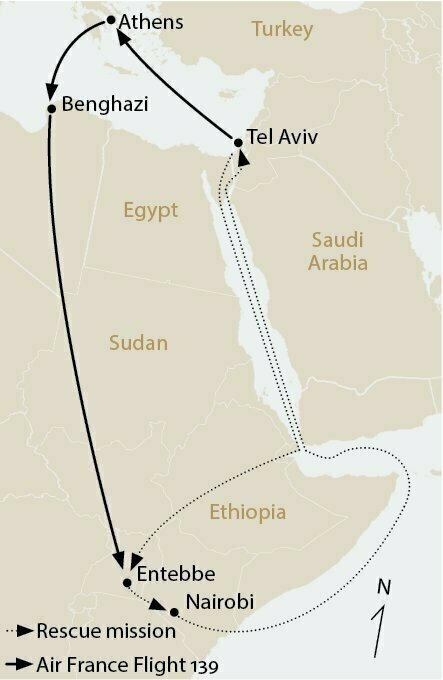 Flying over the Red Sea at low altitude to avoid Egyptian and Saudi Arabian radar, they reached Ethiopian airspace and bore south-southwest toward Uganda. Somewhere over Ethiopia, a message was delivered to the Unit. Because Israel would not compromise with terrorists, largely because of Jonathan’s confidence-inspiring preparations and his leadership, and because it was the right thing to do, the choice had become clear: Prime Minister Yitzhak Rabin had approved the mission. In the middle of the night, during the first few minutes of July 4, four C-130s and two other transports approached Entebbe Airport, carrying Netanyahu’s assault team, reinforcements, commanders and medical staff. The first transport touched down on the runway about a mile from the old terminal building. “The cars quickly left the plane, and made their way with full headlights, you know: ‘Idi Amin coming with a convoy,’” Dr. Netanyahu said. “And about 200 yards before the old terminal, exactly where Jonathan Netanyahu had anticipated there would be Ugandan guards in the model exercises, indeed there were two guards,” he said. The Israelis neutralized them and “drove very, very quickly at great speed to the old terminal,” he said. Despite short bursts of gunfire, the Israelis still had their most valuable advantage over the terrorists intact: the element of surprise. The commandos exited their vehicles, walking toward the building and scanning the area around them. But Jonathan Netanyahu sprinted ahead and ordered his men to run forward and enter the building. The men knew that each step and each door could bring Ugandan bullets, terrorist grenades and bomb trip wires, but they pushed ahead. There, in the main hall of the old terminal, were the 106 hostages: 94 mainly Israeli passengers and a handful of others, including the Air France crew, who had refused to leave them. Terrorists and Ugandan soldiers fired on the Israelis, but the commandos killed all seven terrorists and dozens of soldiers. At least five commandos were wounded; Jonathan Netanyahu was also hit. “Somewhere in front of the glass wall of the old terminal, Yoni was shot in the chest, and basically could not go forward,” his brother told Watch Jerusalem. On the runway near the evacuation plane, two doctors and a senior medic attempted to resuscitate him, but to no avail. “He was the only soldier who died,” Dr. Iddo Netanyahu said. But around him, as commandos refueled the transport planes and destroyed Ugandan Air Force fighter jets to prevent any pursuit, the lives Jonathan Netanyahu had helped save streamed onto the evacuation plane that would carry them to safety and freedom. HAPPY OUTCOME The squadron leader of the rescue planes is hoisted onto the shoulders of celebrating Jews upon the successful rescue of the hostages. 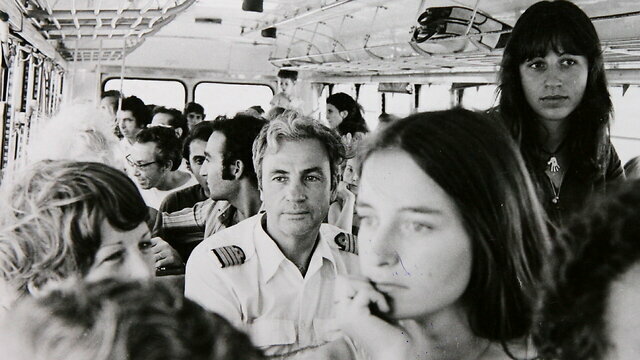 Air France pilot Michel Bacos, in uniform, returning from Entebbe with the other hostages. Bacos died on Tuesday, 26 March 2019. The operation was an incredible example of taking on—and defeating—evil. 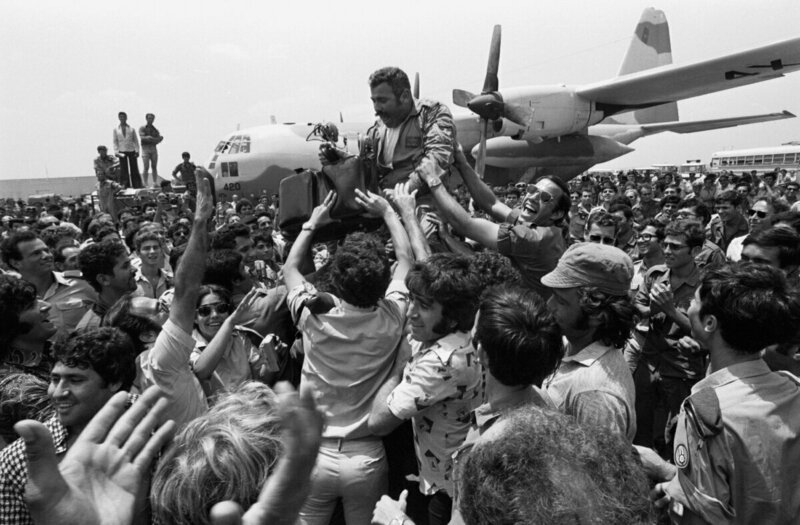 It was code named Operation Thunderbolt, and is commonly known as Operation Entebbe. But it was later renamed Operation Jonathan after the man who gave his life to confront evil. As the historic Entebbe rescue was taking place, world famous educator Herbert W. Armstrong was in the air, en route from California to Italy. After landing in Rome, he learned of Operation Jonathan and said the Israelis had “showed the rest of the world an example of how to deal with this international menace” of terrorism. “The Israeli policy of refusing to deal with skyjackers, if followed by all nations, would deprive terrorists of the goals they seek,” he wrote. The rescuers gave the world “an example of daring, courage, and efficient execution in a lightning military operation” (Plain Truth, September 1976). Mr. Armstrong said two months later that Operation Jonathan should teach all people a “supremely important truth” about compromise. “Sometimes, whether in terrorist skyjackings or handling the Word of God, temptations tend to sweep us off our feet,” he wrote. “I have frequently been pressured to compromise—‘just a little’—with God’s truth. … Wouldn’t it be all right to compromise ‘just a little’ on some ‘unimportant, minor point’?” He answered: “[I]f we begin to compromise with God’s truth, even in the smallest, slightest manner,” it can lead to destruction. “There is a striking parallel in the recent skyjacking” at Entebbe, he wrote (Good News, December 1976). Mr. Armstrong’s understanding of the dangers of compromise was rooted in the teachings of the Bible. The psalmist said: “Joyful are people of integrity …. They do not compromise with evil, and they walk only in his paths” (Psalm 119:1-3; New Living Translation). 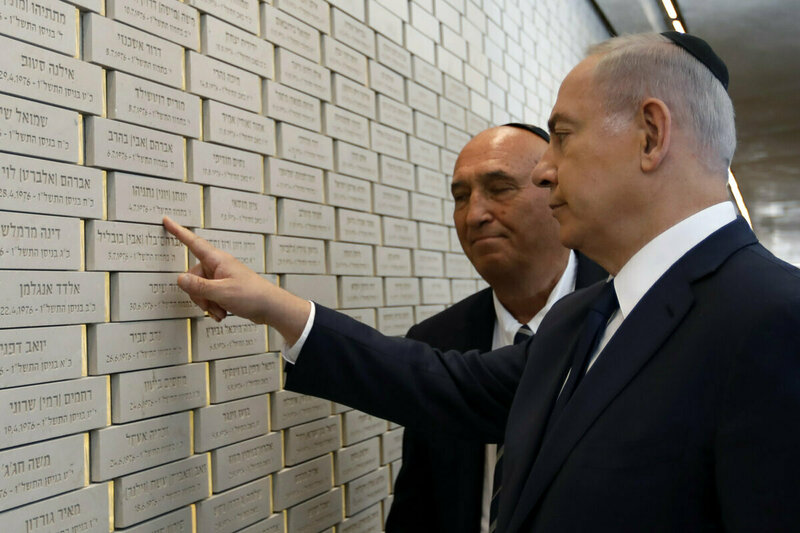 Each of us could benefit from following the stellar example of Jonathan Netanyahu, becoming individuals of integrity, boundless courage and moving self-sacrifice.